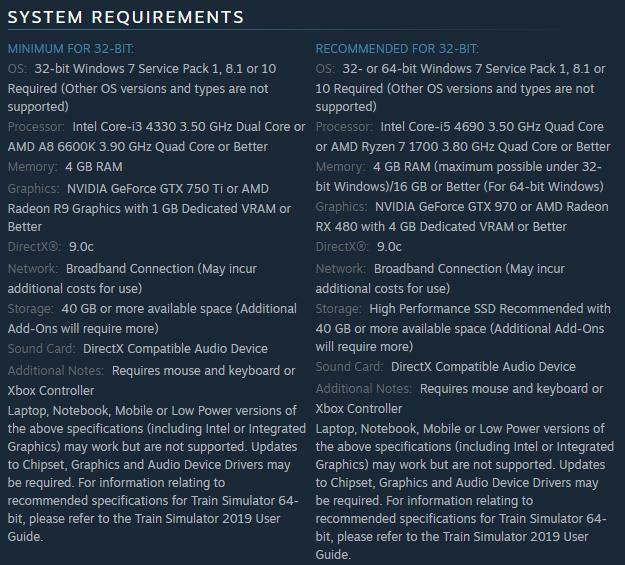 The Train Simulator 2019 will be available for 64-bit for the first time and if your computer and operating system are all 64-bit. You can download the 64-bit version and install in your computer. All the content in the game will work in 31-bit and 64-bit in exactly the same way. If you already own TS2018, Train Simulator 2019 will automatically download to your PC free of charge the next time you start the Steam launcher, provided you have automatic downloads switched on. Hope you enjoy the game.